I’ve been surviving and thriving with Multiple Sclerosis for 23 years and it’s been quite a journey! 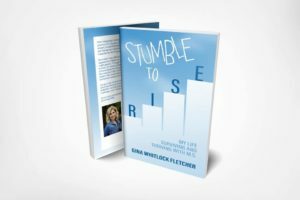 Whether you are also dealing with MS or a different set of challenges, I look forward to inspiring you to triumph over the adversities you face so that you too can thrive as the most confident and joyful version of yourself. Yes you must first Stumble before you can ultimately RISE! 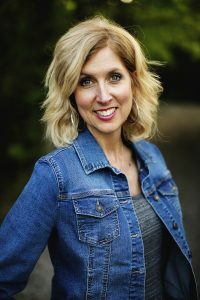 Through information, humor and reflection, Gina shares her journey from the MS diagnosis, to her practical take charge attitude to rise and not let it define her. This book informs in lay terms the mysteries of MS and provides a beautiful light on the path for each and every one who stumbles with self-doubt, disability or health issues. It is truly a book for all seasons and all reasons. A book full of inspiration!! Highly recommend for all to read . The author is very open and real, even though she has MS her story is one anyone can relate to. A very compelling story that holds your interest the minute you pick it up ! The cover calls to you to continue life’s journeys and accept life’s challenges as just a stumble not a road block ! What a powerful endearing story and great read. The strength and determination is amazing in her journey and she tells us straight from her heart. Amazing! This was the most enjoyable read because it follows Gina from denial to acceptance and then to winning her life back from MS. We learn about what worked for her and what did not work. She shares the most personal of failures and the elation of her discoveries in the things that do work for her. She demonstrates how a family can walk this path together and everyone wins through the trials and tribulations. Her message can be applied to anyone suffering from chronic pain or illness. She is a warrior in her book and shares that you can be one, too. My favorite chapter was 8…Keeping It Simple. Great advice to anyone who wants to try something wholesome instead of medication for everything that ails us. Thank you for writing this, Gina! An inspirational and pleasurable read. She welcomes you into her journey through life with MS and approaches her struggles with strength, lighthearted humor and grace. Absolutely worth curling up on the couch with a hot cup of tea and diving into! This book is amazing! I don’t have MS but found the book meaningful and applicable to my life and other struggles. It is an easy and enjoyable read! It tugs at the heart strings, made me laugh, and led me to consider how I choose to handle my own challenges. It is a great book! Worth the read! And worth passing on to those you care about!